Even as we grow more comfortable with the different ways of online communication such as social networking, video chatting and voice chats, email is still the preferred way for people to get their messages across to others. In most cases, many people may have more than one email account – one for school, one for home, and one for work – and we may still find ourselves sending bookmarks, files, documents, and other things through our electronic mail accounts. However, just like real mail, sometimes email can get lost in the hustle and bustle of Internet traffic. Some emails get lost among full inboxes; other incorrectly get labeled as spam and are deleted unknowingly; and sometimes, that important email just never comes through. For both senders and receivers, this can be frustrating and it may seem as though there's no way around it. Luckily, technology once again comes to our rescue. There are actually free programs and even some programs you may already use that can help you ensure your emails are received. Here, we'll look at a few free email tracking software programs as well as those you may already be using. download; you just go their website, type in your address and then the subject line of your message. You can choose one of their images or one of your own and the site generate that image for you. You copy the image and insert it within the email. Because it's online, it works with many of the popular email programs such as Outlook, Yahoo, Hotmail or Gmail (although there is a troubleshooting note to Gmail users). 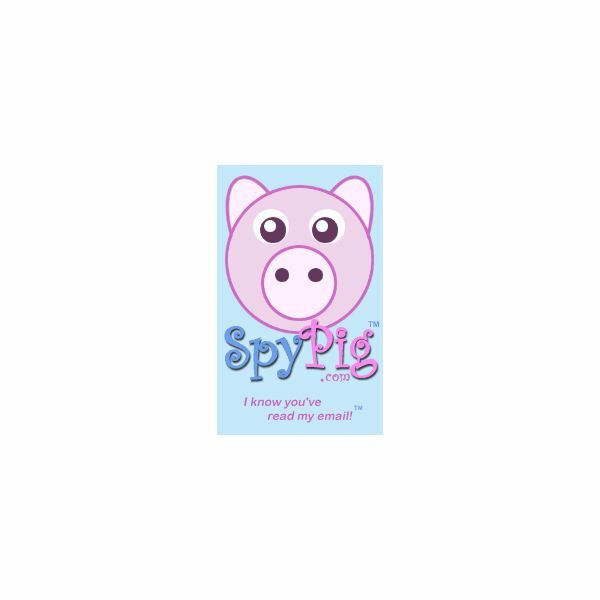 The glaring downside is the fact that in order to know if your email has been read (SpyPig will send you an email confirmation) the recipient has to allow for the download of the image. Many email programs have filters in place that will prevent images to load in email, so unless the intended party allows this or doesn't have a filter, it won't work. ReadNotify is a very sophisticated email tracker that not only allows you to ensure someone has received your email but also features ways to prove you sent an email. ReadNotify works seamlessly for Windows mail programs such as Outlook and Hotmail as well as for Yahoo mail if you are using Internet Explorer as your browser. A downside is that the trial version only lasts for as many as 25 emails. If you're working on a project with a small group and you want to make sure they are receiving emails, this could work for you, especially if you've been having email troubles. Even if the trial version only lasts for a limited time, pricing for ReadNotify is not terribly expensive with a monthly fee of around $4 per month. Like SpyPig, GetNotify is a free online image tracking website that uses images to verify that messages have been received. With GetNotify, you do need to sign up for the service, but it's a totally free service that will give you a sent and received report after you have sent your emails. The downside for some users is that it's very cumbersome to use due to the user interface. However, if you just need to make sure that some very important emails are getting through, then you could skate by with this service. For many of us, our first exposure and usage in the professional email world was that of using Microsoft Office's Outlook email program. It's still one of the most widely used email programs for most individuals and is usually utilized in business settings due to being part of the popularly used Office programs like Word and Excel. However, did you know that you can also ensure that your email has been delivered through Outlook's own email program? Most versions of Outlook have something called the read receipt, which basically tells you if the intended recipient received his or her mail. Along with that, you can also ask that they send notification that they received your email message and that they have read it via a pop up that appears when you navigate away from the message. Again, for many professional users of Outlook, this can be an important tool to ensure that email has not only been received, but read as well. To utilize the read receipt, you can open a new message window and go to view and then options. Under voting and tracking, select either the request a delivery for receipt or read. Screenshot taken by author and is property of SpyPig.